The firm will work on a fully integrated campaign to boost turkey consumption in the country. TORONTO: Turkey Farmers of Canada and members of the Canadian Poultry and Egg Processors Council have named Zeno Group as their AOR. Zeno won the five-year, multi-million-dollar contract after a multi-round pitch process, the firm said in a statement. The agency won the account last October, but the contract was not signed until last month, an agency representative told PRWeek via email. Zeno is designing a fully integrated campaign to boost turkey consumption in Canada. The firm will engage primary meal planners to raise awareness of the benefits of turkey, drive year-round demand and increase overall consumption, according to a statement from the firm. Zeno is helping the organizations with a campaign that is set to launch in mid-May in 10 markets in Canada that would include earned media, influencers and social media. "Turkey will take on other proteins in a really fun, delightful and surprising way through our out-of-home campaign in May and June," said Georgas, adding that the firm is working to change the perception of turkey from a food eaten primarily during the holidays to an everyday meal. A Zeno team based in Toronto is overseeing advertising, digital, experiential, PR, influencer engagement and paid social. The firm has enlisted True Media as its paid media partner for the account. 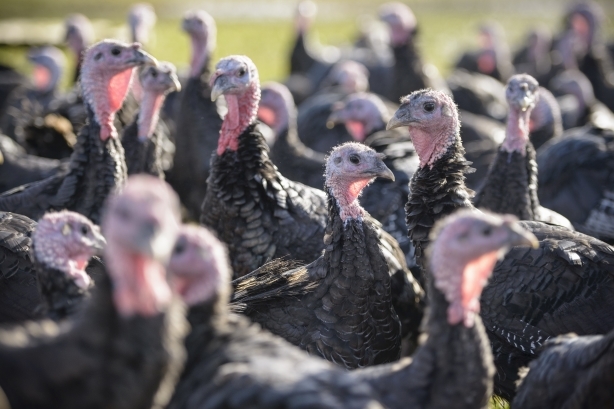 Asked if there was an incumbent agency on the business, a Zeno representative said Turkey Farmers of Canada has not launched a national marketing campaign of this scale since 2004. Turkey Farmers of Canada is a national organization representing the country’s 500-plus turkey farmers. The Canadian Poultry and Egg Processors Council is the national industry association representing chicken and turkey processors, egg graders and egg processors in Canada. This story was updated on April 8 with additional information.